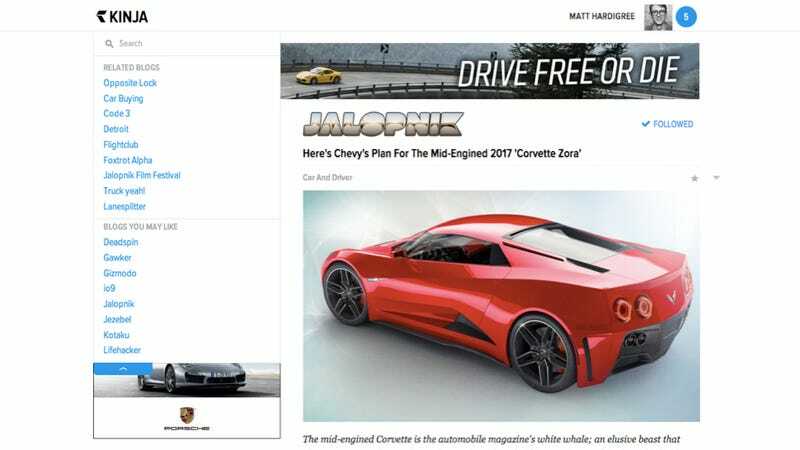 As part of the ongoing effort to make Jalopnik (and all the other sites in the Kinja universe) more navigable and easier to use we're introducing a more cohesive "global navigation" that's launching first here as a test to make sure it actually works. There's a full explanation here of what issues we were hoping to address with this, as well as the long list of improvements this brings, but for the most part it's an iterative change aimed at making the site operate less randomly and more like you'd expect (as opposed to the massive, earth-shattering design changes you used to love so much). Please leave any thoughts/questions you have on the product Kinja page or below.